Have You Been Injured as A Result of Medical Malpractice? Having a surgery is a very risky procedure, but sometimes necessary for one’s health. Surgical patients routinely put their full trust and faith in the doctors and other medical personnel that conduct these procedures, and the majority of surgeries do not result in issues. However, and unfortunately, some do. When this happens, the patient can experience many side effects, including those that are permanently damaging. 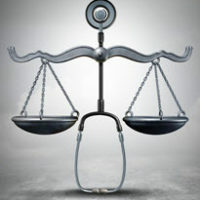 Further, in some cases, the issues are the result of medical malpractice, and the medical staff should be held liable. Recently, in Jacksonville, the wife of a Naval hospital corpsman found what had been causing her severe back pain – a needle, which broke off from an epidural during a spinal anesthesia administration, placed during childbirth in 2003. As a result of this error, the woman has suffered permanent nerve damage, and, to her horror, the needle cannot be removed, as it may cause even more damage. When trust in the medical industry is shaken to its core, as this woman’s no doubt has been, the injured should seek recovery for their suffering, both physical and emotional, and the services of an experienced medical malpractice attorney is key. A discussion of medical malpractice generally, and how the procedure is conducted in Florida, will follow below. Generally, medical malpractice occurs when a medical professional either takes an inappropriate action or fails to follow the correct protocol, and a patient is injured as a result. The touchstone of medical malpractice focuses on the professional standard of care that would apply in a given situation, which essentially asks whether the medical professional in the case at hand conducted himself/herself in the same manner as another medical professional with similar skills and experience would have done in a similar situation. Further keys are whether a medical relationship existed (i.e., doctor/patient), and if the patient was, in fact, injured from the improper medical care (or from the omission of proper medical care). To support the standard care in a particular situation, an opinion from a medical expert is a necessity. In all cases of medical malpractice, a statute of limitations applies. Thus, injured parties only have two years to file a claim or lose the right to seek compensation. Finally, as medical malpractice matters typically take years to move through the legal system, evidence showing the harm was fairly severe and a direct result of the negligent medical treatment of the medical professional are critical factors that should be taken into consideration when deciding whether to proceed with such an action. Unfortunately, medical malpractice lawsuits in Florida are not like most other lawsuits, and state law requires an injured party to satisfy a number of preliminary steps before filing a claim. Specifically, an injured party must notify the medical professionals of their intent to file a lawsuit. This provides the other side with time to investigate and potentially make an offer to settle. Although the stated purpose behind this requirement is to reduce litigation, in reality, this notification just delays the resolution of the matter. Further, an injured party must secure an opinion from a third party medical expert, indicating that there is enough evidence to show medical malpractice likely occurred. Once the notice and investigation period is over, and a lawsuit is formally filed, a court will order arbitration and/or mediation. Again, while the stated purpose of this order is to reduce litigation, in reality, these steps only delay the inevitable, and injured parties will typically wait a substantial amount of time before a trial is concluded. As such, it behooves a person injured through medical malpractice to begin the process of seeking legal relief as soon as practicable. While medical procedures are inherently risky, most of the time, medical professionals take the appropriate precautions to minimize unavoidable issues. However, if you are injured, and the injury is a result of medical malpractice, see an experienced medical malpractice attorney as soon as possible. The attorneys at the Miami law firm of Pita Weber Del Prado know what it takes to build a winning case, and are available to discuss the circumstances of your injury. Contact us today for a free consultation.